©2018 - GW2Bot created by Maselkov#0621, Website created by Penemue#8514 - If you want to contribute, see here for the bot and here for the website. Thanks to all contributors. Guild Wars 2 Logo and all associated logos and designs are trademarks or registered trademarks of NCSOFT Corporation. 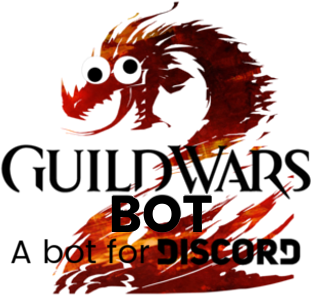 GW2Bot by Maselkov#0621, Website by Penemue#8514.